It is well known that moving is one of the most stressful times in anyone's life, so leave it to the best in the business. 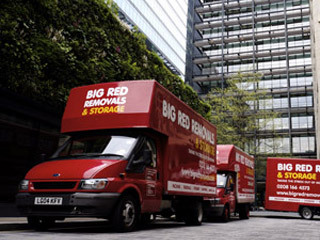 Big Red Removals have over 10 years of experience in house and flat moves within Hampton. 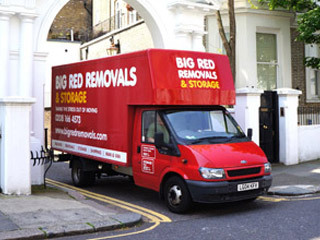 Big Red offer a range of services to suit any move, large or small. 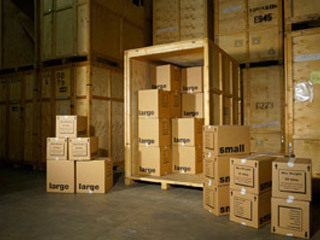 We can offer a full or partial packing service to ensure that your precious possessions reach their destination intact. 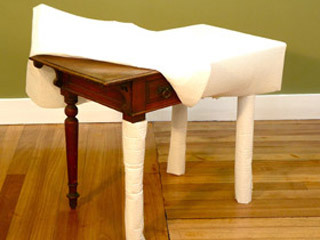 Our experienced and dedicated team of professional removers will ensure that your move goes without a hitch. From offering a full site survey for larger moves to flexible hourly rates for smaller moves, Big Red have got you covered, able to offer the most competitive rates in Hampton. All moves with Big Red can be covered with liability insurance. 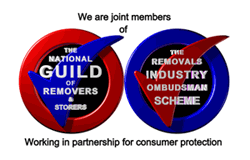 As Members of the National Guild of Removers we follow their Code of Practice and you can be assured that Big Red will give you the best removals service in Hampton. Whatever other stresses you have with your move, you can rely on Big Red to ensure that, from start to finish, the removal process is not one of them. 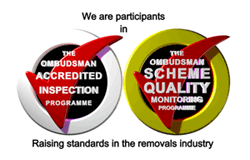 Call the Hampton removals specialists now on 0207 228 7651. Most of the roads around Hampton are controlled parking, and either parking suspensions or dispensations are required. 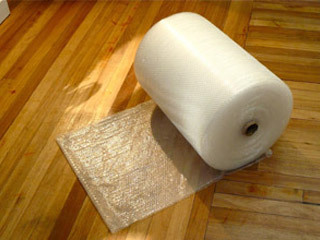 For larger Removals in Hampton a parking suspension is a necessity. The suspension has to be booked 7 working days in advance of the required date. These are booked with Richmond council online. For smaller Hampton removals, using vans, we can load and unload for short periods on single yellow lines. 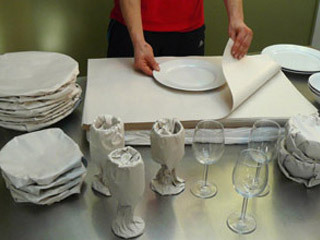 Otherwise a dispensation would need to be booked, if we are packing and Hampton flat moving. Hampton is centred on an old village on the north bank of the River Thames, in the London Borough of Richmond upon Thames in England. Historically it was in Middlesex. The population is about 18,000. The name Hampton may come from the Anglo-Saxon words hamm meaning an enclosure in the bend of a river and ton meaning farmstead or settlement. It adjoins Bushy Park and is west of Kingston upon Thames. The Hampton Heated Open Air Pool is one of the few such swimming pools remaining in Greater London. The riverside, on the reach above Molesey Lock, has many period buildings including Garrick’s House and Shakespeare’s Temple; also on the river is the Astoria Houseboat recording studio. Hampton Ferry provides access across the Thames to Molesey. The area is featured briefly in two Charles Dickens novels. In Oliver Twist, Oliver and Sykes stop in a public house in Hampton on their way to the planned burglary in Chertsey. In Nicholas Nickleby, Sir Mulberry Hawk and Lord Frederick visit the ‘Hampton Races’, which refers to a racecourse at Moulsey Hurst. It is also briefly mentioned in The War of the Worlds. The Bell public house in Hampton is mentioned in T S Eliot’s Old Possum’s Book of Practical Cats. Hampton is also mentioned in humorist Jerome K. Jerome’s Three Men in a Boat.